The 8.5-month-long wait is over today for thousands of hunters as archery seasons open for deer and several other big game animals. “This is an exciting time of year for hunters, as it is the first time of the fall when they can get into the woods and try to bag some big game,” said Nels Rodefeld, chief of the Information and Education Division for the OK Department of Wildlife Conservation. Deer Archery Season — Oct. 1 to Jan. 15, 2019: Archery success continues to improve in Oklahoma. Last year, hunters set a second consecutive harvest record for deer archery season, reporting 29,094 deer harvested. Rainfall was not lacking over much of Oklahoma during spring and summer, which benefited wildlife, food sources and vegetation. Deer could be more difficult to spot with heavy cover. An abundance of natural food sources might decrease deer activity around feeders. Hunters are urged to scout before archery season opens so as to take advantage of deer movement patterns. 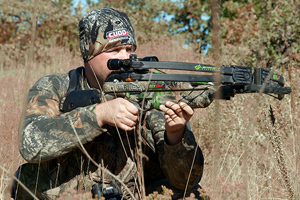 Oklahoma has one of the more liberal season bag limits nationwide for archery deer hunters, allowing six deer (only two of which may be bucks). 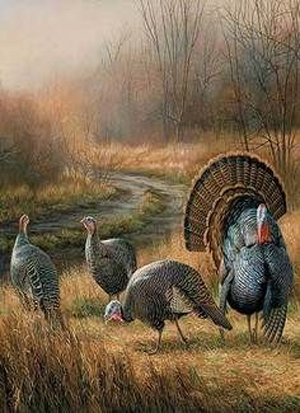 And since turkey archery season is open too, it is common for many deer hunters to buy and carry a turkey license into the woods in case they get the chance to harvest a bird. 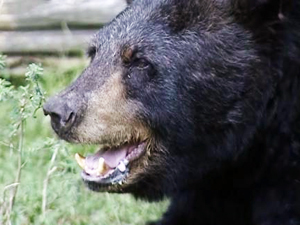 Black Bear Archery Season — Oct. 1 to Oct. 15: Last season, 39 bears were harvested by archers on public and private lands in Latimer, Le Flore, McCurtain and Pushmataha counties (the only areas where bear hunting is permitted). The 2017 total was a drop from 53 bears taken during archery season the previous year. About one-fourth of the annual archery bear harvest usually comes from public lands. Archers wanting to hunt bear must buy a license before the first day of bear season. Turkey Archery Season — Oct. 1 to Jan. 15, 2019: Fall turkey hunting brings different challenges than spring hunting. Since breeding season has passed, birds are not as eager to respond or come to a call. 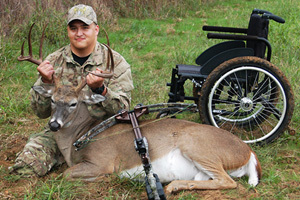 Hunters must adopt new techniques to be successful. Scouting is always important for any hunting, but never more so than for a fall turkey hunt. Since birds are more silent and gathered in flocks instead of vocal and scattered throughout the habitat, a hunter must be able to pinpoint specific hunting locations rather than simply calling to locate a bird within an area. Winter roost sites are often traditionally used year after year, and hunters would do well to begin scouting near these areas, fanning out to find feeding areas or loafing areas. Look for food sources such as acorns or feed fields, tracks, droppings and V-shaped scratch marks in forest floor leaves. Some good techniques include conducting an ambush, watching travel lanes, and calling after flushing a flock. Elk Archery Season-Private Lands — Oct. 1 to Jan. 15, 2019 (Except Special SW Zone): Last year, archers took 38 bulls and 37 cows from private lands in 12 counties. Archers pursuing elk on private lands need to be aware of the seven elk-hunting zones in Oklahoma and the regulations for each of them. Each zone has a specified number of elk that may be taken from that zone. When that number is reached, the zone closes to all elk hunting. In the Special Southwest Zone (Caddo, Comanche and Kiowa counties), archery elk season runs from Oct. 6-10 and Dec. 8-12 and there is no zone quota for number of elk harvested. Pronghorn Archery Season — Oct. 1 to Oct. 14: Scouting and visiting with landowners are keys to pronghorn season success. Last year, archery hunters took 22 bucks and two does. The only open areas are Cimarron County and the part of Texas County west of State Highway 136. Written landowner permission is required, except on walk-in areas actively enrolled in the Oklahoma Land Access Program. 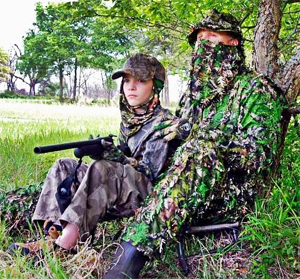 All hunters need to be up-to-date on licenses and hunter education requirements, and familiar with all rules and regulations including hunter orange clothing requirements during big game firearms seasons, field tagging, E-Check and legal equipment. Licenses are sold online at wildlifedepartment.com/licensing. This entry was posted in Sports on October 1, 2018 by admin.